Commissioned by the Cabinet Office, Mission Accomplished is the official history of the Special Operations Executive in Italy 1943-1945 and the first ever complete account of this story between the Allied landings at Salerno and the end of the war. SOE contributed significantly to the final political and military liberation of Italy from Nazism and Fascism by the Allied armies in May 1945 by giving extensive material support to the Italian resistance. This, as Churchill wrote in his History of the Second World War, ‘was created in a cruel atmosphere of civil strife, assassinations, and executions,’ and it makes for a story of considerable intrigue, interest, and excitement. Yet compared to the story of its activities in France, SOE’s achievements in Italy have remained almost unknown over the sixty years that have passed since Britain’s wartime Prime Minister wrote these words. Written in accessible style for a popular market, the book is based on full access to all the recently released files, documents retrieved from other secret agencies, diaries, letters, memoirs, personal interviews and some rare Italian material. 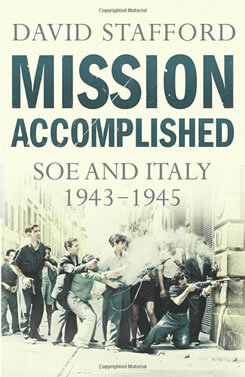 It provides the first ever narrative account of SOE operations in Italy, demonstrates how SOE worked closely with the Italian partisans as well as elements of the Royalist government, discusses the part played by SOE officers and their missions in the liberation of such major cities as Milan, Turn, and Genoa, reveals how after having had its networks penetrated by SIM, the Italian military intelligence service, SOE began to work alongside it, explore various controversial claims about Britain’s secret wartime role in Italy such as the theory that SOE was behind the killing of Mussolini, and it narrates the extraordinary and heroic individual missions of the many secret agents despatched to work with the partisans.
" Although this is an official history commissioned by the Cabinet Office, it is written with a light touch and Stafford is unafraid to give his own opinions...Particularly fascinating is the cloak-and-dagger coordination with SOE bases in Switzerland and Corsica...The role of No 1 Special Force was over – and is now belatedly and splendidly chronicled." "I much admired David Stafford's previous book, Endgame 1945 and Mission Accomplished, an official history commissioned by the Cabinet Office, exhibits the same elements of a lucid, flowing narrative combined with acute observations about the varied personalities involved...The mission was something of which both Britons and Italians can be rightly proud and Stafford does it full justice." "... offers readers a sound judgment of SOE's contribution to the liberation of Italy and a gripping account of Britain's secret war in Italy...Stafford vividly describes these missions with striking detail and telling quotes." "In this scintillating book, David Stafford- one of the leading historians of the Special Operations Executive- reveals the little- known story of what SOE did in the Italian campaign after Italy changed sides in the war against Hitler…. 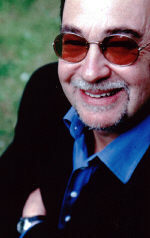 He has used SOE’s surviving archive, now at Kew, masses of published recollections by several sides’ participants, and his own historic training and common sense. Through the thickets of resistance history Stafford’s machete cuts clear paths. He presents a whole series of clandestine coups, explaining at each barely credible turn how it was arrived at, who did it, and with what; there are masses of good stories here, many worth writing up into a book.’"
"An admirably lucid and carefully balanced account...official histories are rarely as absorbing as this." "The author, David Stafford, although a distinguished academic historian specialising in wartime Intelligence, knows how to tell a racy story combined with an expert knowledge of the behind-the-scenes political and military framework." "...well constructed and written...by using the very words written by those whose activities he is describing, David Stafford brings the narrative to life."